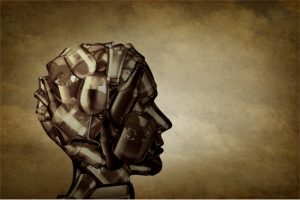 People affected by alcoholism undergo lasting brain changes that interfere with their emotional and psychological function. Among other things, these changes help support a continued pattern of excessive drinking. The physiological and psychological effects of alcoholism help explain the condition’s official classification as a form of mental illness. In addition, people suffering from alcoholism have increased chances of developing diagnosable symptoms of other mental illnesses. The combination of substance problems and separate mental health problems is known as a co-occurring disorder, comorbidity or dual diagnosis. The presence of a co-occurring disorder can significantly increase the mental repercussions of alcoholism. If you or your loved one are at-risk for alcohol-related mental health issues, prompt treatment from an addiction specialist can help you avoid the development of serious problems. For more information on inpatient and outpatient alcohol programs, call (888)-459-5511 today. In a person who establishes a pattern of regular heavy drinking, frequent alterations in the levels of these substances lead to basic changes in the brain’s operating conditions. Essentially, the organ adapts to its new chemical environment. Once it reaches a certain stage, this process of adaptation will lead to the onset of alcoholism (i.e., alcohol dependence) in the affected person. 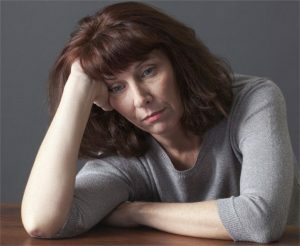 A person diagnosed with alcohol use disorder may have overlapping symptoms of alcoholism and non-addicted alcohol abuse. All cases of AUD are classified by the American Psychiatric Association as forms of mental illness, whether they involve alcohol abuse or alcoholism. This classification reflects the serious potential effects of alcohol on mental health. Depending on the number of mental, physical and behavioral problems present, a doctor may diagnose a mild, moderate or severe case of AUD in any given person. The National Institute on Alcohol Abuse and Alcoholism (NIAAA) reports that people affected by alcoholism experience symptoms of some form depressive disorder or bipolar disorder roughly 3.6 to 4.1 times more often than the general population. Anxiety disorders affect alcoholics about 2.6 times more often than normal, and PTSD occurs about 2.2 times more often than normal. 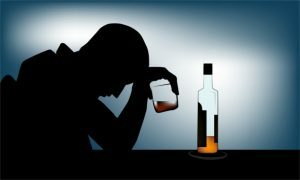 The NIAAA reports that people affected by non-addicted alcohol abuse experience depressive disorders and bipolar disorders approximately 10 percent to 30 percent more often than the general population. Their rate of exposure to anxiety disorders ranges from roughly 10 percent to 70 percent above the norm. Non-addicted alcohol abusers also experience about a 50 percent increase in their PTSD risks. Experts believe that the connection between co-occurring mental illness and alcohol problems may be stress-related. Normally, the body tries to limit the effects of stress with the help of hormones produced inside the brain, pituitary gland and adrenal glands. However, in people who regularly consume excessive amounts of alcohol, this defense system breaks down. That’s true because heavy drinking increases levels of the hormones that trigger a damaging stress reaction. Stress hormones also surge in people going through alcohol withdrawal. Even after withdrawal has run its course, the body’s stress mechanisms can remain off-kilter for extended periods of time. There is a two-way link between alcohol and mental health. 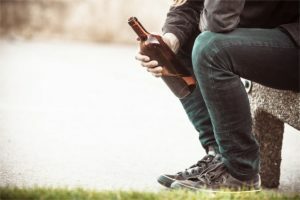 Significant numbers of people with existing mental illnesses put themselves at-risk for alcoholism by attempting to self-medicate their symptoms. Conversely, any person affected by alcoholism can undergo changes in emotional/psychological health that create a risk for other forms of mental illness. Treatment of co-occurring substance problems and mental illness is challenging. In many cases, the combined effects of these conditions lead to worse symptoms than would normally occur in someone only dealing with alcoholism, or someone only dealing with a separate mental health problem. Successful treatment always addresses both issues. This means that people with co-occurring problems must halt their alcohol use to recover their mental/psychological health. Much of the long-term mental impact of alcohol dependence is related to shrinkage in crucial brain areas. One of the affected areas, the cerebellum, helps regulate emotional control. Another affected area, the limbic system, also helps support mood regulation. In addition, chronic heavy drinking leads to shrinkage in the cerebral cortex, the brain area responsible for decision-making, impulse control and logical thinking. When alcoholics enter treatment and establish long-term abstinence, they may regain some of the mental functions damaged by brain shrinkage. However, people affected by hepatic encephalopathy will not improve unless they undergo blood-purifying procedures or a liver transplant. Even when consumed socially, alcohol can have a significant effect on normal mental function. In a person suffering from alcohol use disorder, the long-term brain changes triggered by heavy drinking can lead to profound alterations in emotional/psychological health. For this reason, AUD is classified as a diagnosable mental health disorder. The presence of this disorder can increase the risks for other psychiatric illnesses, including major depression, bipolar I disorder, panic disorder and PTSD. Also, people suffering from these illnesses have increased chances of becoming alcohol abusers or alcoholics. It’s not easy to treat co-occurring symptoms of alcohol problems and mental illness. Still, effective treatment can lead to the restoration of emotional well-being. Enrollment in treatment is an essential step in recovering from the damaging mental impact of alcoholism and alcohol abuse. If you or your loved one are experiencing alcohol-related changes in psychological health, call (888)-459-5511 today for information on available treatment resources. My brother has been a drinker of various alcohols for most of his adult life; he is 71. I’ve noticed that the past few months he has lost most short term memory. He has been having ‘dreams’ or ‘halucinations’–I’m not sure which– and he doesn’t know what is ‘real’ and what isn’t. We just lost our 96 yo mother to alzheimers in February 2018. I need more information before I decide what action to take. Any recommendations would be appreciated.